showed that the AGN had faded because the black hole was being starved of infalling material. 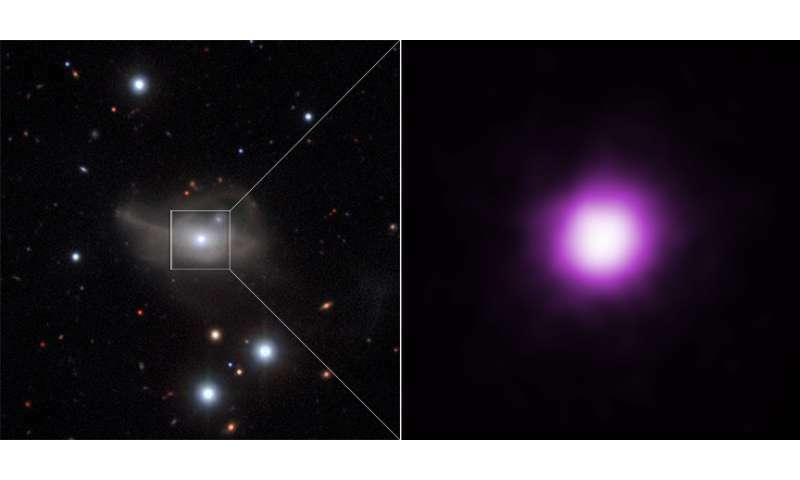 This starvation also explains the fading of the AGN in X-rays. ASSUMPTION: Since the merger maniac has no other explanation for the bright emissions from a theoretically 'black' hole. After all, the math fairies have declared it so. How about, the core star is not actually black?? Maybe it is rather grey, where some light does escape radially, and can therefore brighten when the core goes unstable periodically. Wow, how can that be? The black hole is not infinitely dense, as the math fairies insist?? The merger maniac does not even bother to wonder, but rather simply accepts what he is told, despite what he observes, repeatedly. Kinda reminds me of a definition of 'crazy' that I read somewhere?? Many known stars have brightened and dimmed back and forth, and the current nuclear core model has no explanation for that, so it's understandably confusing that an entire galaxy could dim and brighten as well. Unless of course, you're going by the electric model, which suggests that stars and galaxies absorb massive amounts of electricity from the universe, in a large chain of connected bodies, which would explain all of these phenomenon easily and simply. Less input equals less glow, and more input equals more glow.